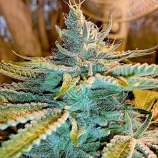 Here you can find a strain description about Ten (10) and also some user-based reviews and infos directly from the SeedFinder (if available). You can also find the offers and auctions here if Ten (10) cannabis seeds are on stock at MyCannapot right now. Another trichome wonder has been manifested with backcross pairing of Cherry Puff, Cherry Pie x Joseph, and the Joseph himself. The special selection of the Cherry Puff #10 displayed resounding resin and extraordinary berry, dough and gas flavors. Every female will produce multitudes of crystals. Bred for grease and massive heads, this cross is every hash makers dream. Expect a vigorous plant that manifests holistic love. Buy Ten (10) now at MyCannapot!